Rather than tap into its massive cash reserves, Apple has raised $17bn (£10.9bn) via a bond sale to help fund a $100bn pay-out to shareholders over the next three years. It seems a little counter-intuitive: issuing bonds to pay shareholders when you already have $145bn in the bank. But Apple has made its name by being unpredictable. Huge chunks of its cash reserves are sitting in non-US accounts, which would make them liable for US taxes if repatriated. And, with interest rates at the record low of 0.25%, it’s never been cheaper to raise funds. Cue a bond auction on Tuesday – the biggest ever by a non-banking company. The proceeds of which will be thrown into a giant pot to cover special payouts to shareholders, frustrated by Apple’s plummeting share price. Since hitting an all-time high in September, Apple’s shares have lost 40% of their value, trading at below $400 a pop in April. The technorati are mumbling about ‘a dearth of innovation’, citing Samsung’s meteoric rise in the smartphone and tablet markets as a real danger to Apple (from Sony killer to Apple killer?). Earlier this month, Apple reported its first quarterly drop in profits in 10 years, generating a net profit of $9.5bn, down from $11.6bn last year. The tech giant’s first-quarter results were better than analysts expected, however, with strong sales of the iPhone and iPad despite stiff competition from other players. Apple also regained its position as the world’s most valuable company when it overtook ExxonMobil earlier this week. In order to convince shareholders to hold, instead of offloading their stakes, Apple is planning to buy back $60bn in shares and pass on the cash raised through the bond auction, raising its dividend to shareholders by 15%. Apple CEO Tim Cook is hoping that the bond sale, Apple’s first since 1996, will restore a little confidence to the markets. And his bet has already paid off. The bond sale proved to be an overwhelming success, with wannabe investors placing orders for nearly $52bn - almost three times the amount of bonds on offer. 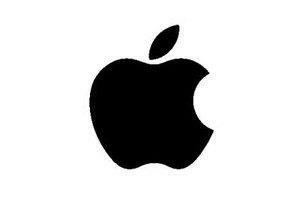 Apple’s share price has rebounded to $442, up 2.9% in late trading on Tuesday.